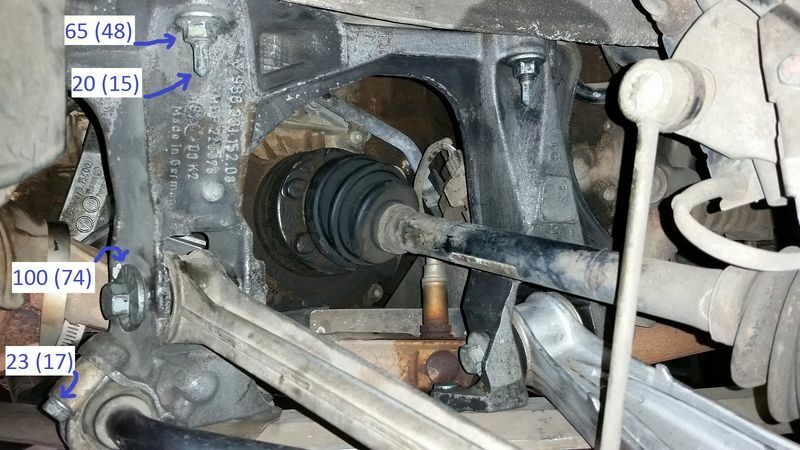 Replacing the rear suspension bracket aka 'side section bracket' or carrier. 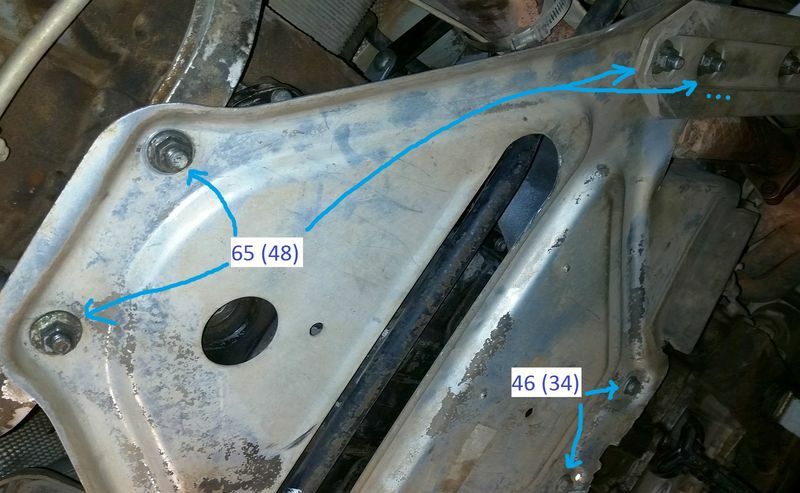 I just replaced the right rear side section bracket on a 1999 Tiptronic. 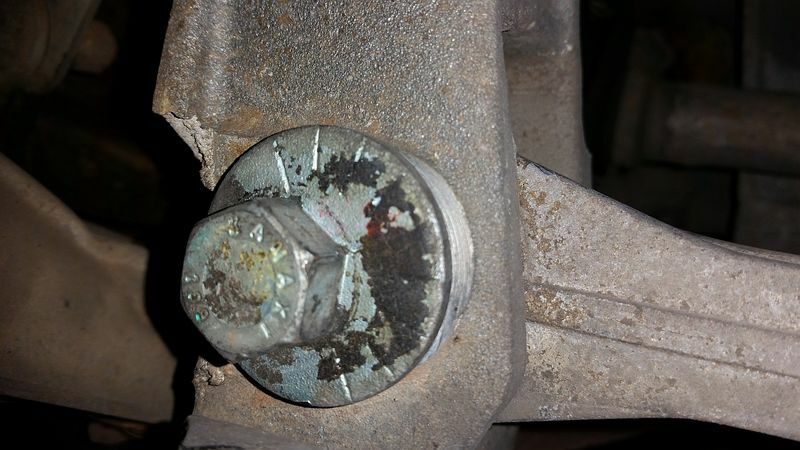 Mine had a chunk broken off where the bolt holds the toe adjustment. I have seen and heard of others that were cracked or warped. Here's the basics of how I did it. 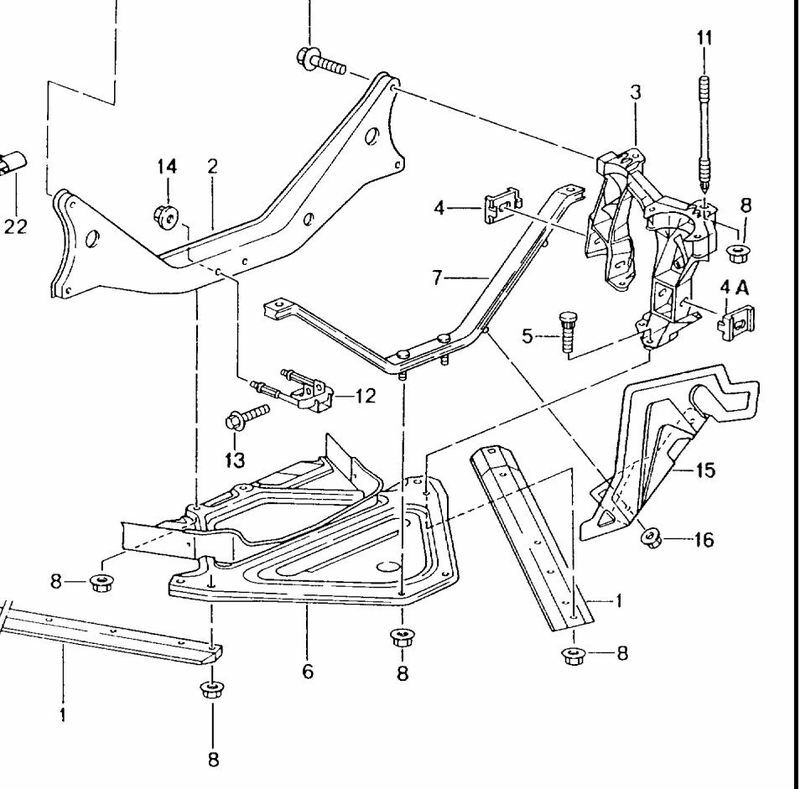 I did not follow any particular manual or instructions other than getting the torques from the Porsche 986 Shop Manual (updated through 2004). Note: The structural integrity of the rear suspension is dependent on having all major parts attached. 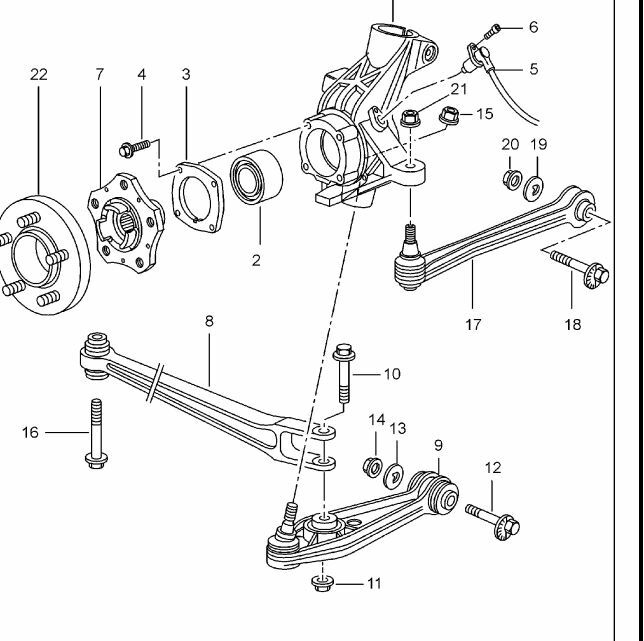 Once any structural parts have been removed, do not put weight on the wheels until it is fully reassembled. 1. Raise the car and support the car at the jack points. 9. 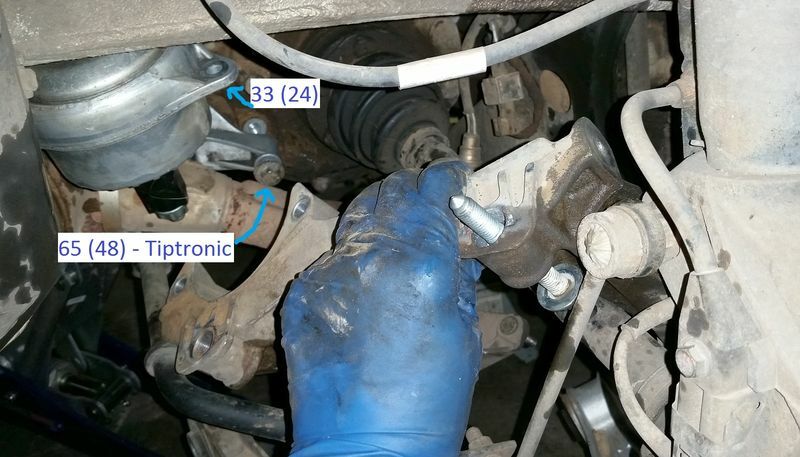 Remove the two bolts that hold the crossmember, fig. 2 (2), to the side section bracket. 10. Remove the nuts, and studs, fig. 2 (11), that attach the side section bracket to the body. 11. Remove the side section bracket. Mine came out easily by rotating it aft and down. 12. Reverse all these steps to install the replacement.